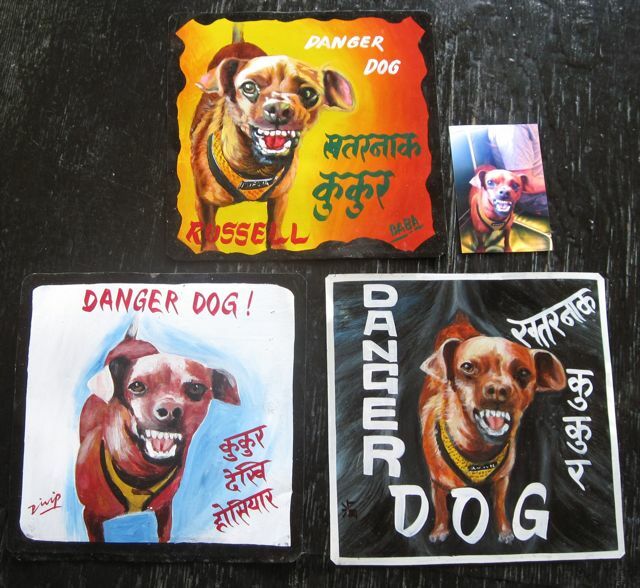 What would your pet’s portrait look like as painted by 3 different Nepali signboard artists? 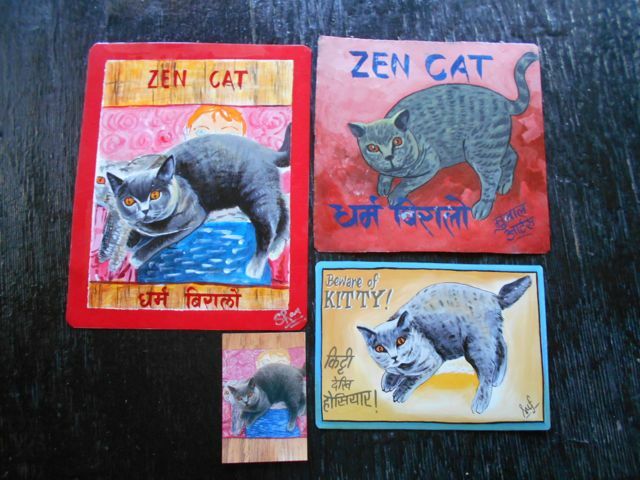 Beatrice the English Shorthair Cat shines in her triple portrait by the artists Sanjib Rana, Jit Gurung and Sufraj Khadka (clockwise from top left). Beatrice’s pal bought all three. She had asked for a folk art feel to Beatrice’s portrait. Russell the Chihuahua was an almost impossible choice. The owner chose Baba (top) with his dramatic colors and brush strokes. But you have to admit that all three really got Russell and his 5 pound attitude. Russell looks like he has false teeth in all of them, but so does the original photo!